I will start with the lovely Wives and Daughters story that I had so greatly enjoyed in the BBC/Masterpiece televised drama . People frequently say that books are usually better that the movies that are based off of them, and I must say that it is true in this case as well. It's not that the televised series was bad... in fact far from it, most of the details were carried over from the book into the BBC series. It's merely that Mrs. Gaskell manages to incorporate all sorts of details that cannot be observed in quite the same way when the action is all before you. She has this brilliant way of narrating everything, just at the right moment... and nothing out of place. I love how the characters have increased depth and their character becomes better explained by the more detailed accounts of their actions and interactions... and in many cases we are able to read into their minds as Gaskell has provided this periodically. Molly Gibson for example, my favorite character from the BBC series, remains such after the book. However, she becomes more real, her struggles more vivid and her thoughtfulness more obvious. In the BBC series Mrs. Gibson (Claire/Hyacinth) is annoying, but not nearly as much as in the novel... in the novel all likelihood of any propriety on the part of Molly's step-mother is quickly done away with. The quality of Molly's character grew with every added detail, details which often in life we often don't ever know about the people around us. I feel that reading novels like these often teach us things about the world around us that we might otherwise miss. I often wonder how novelists are aware of so much beyond their own minds to be able to give such a realistic feeling to their characters. Speaking of Mrs. Gibson, however... I hadn't noticed this so much in the BBC series, but after reading the book, I think Wives and Daughters is very similar to Pride and Prejudice by Jane Austen. You have many of the same elements present... irritating mother who is obsessed with matchmaking and money, father with his head on straight but who can't seem to get his wife to be on the same page, daughters who get married either in spite of their mother or despite her interventions, etc. One thing that struck me most however, is the difference between Mr. Gibson and Mr. Bennet. While they both realize the silliness of their wives (and eventually make a point of visiting their favorite daughter for relief periodically once they are married), they still manage to handle their lot in very different ways. Mr. Bennet chooses to become all but a hermit and use sarcasm on everyone rather than try to solve any problems; on the contrary, Mr. Gibson, while doing his best to keep out of the way on trivial matters still insists on some sense in the house. 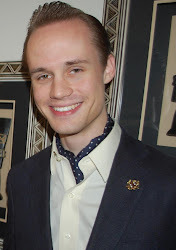 Mr. Gibson also will not allow himself to be overruled on essential matters, even if his wife fancies some imaginary reason to object to an idea of his... and excepting Cynthia, without Mr. Gibson's interventions there might not be any end to Mrs. Gibson's trouble for Molly. I think Mr. Gibson's approach to good sense clearly has a positive effect on the family as none of the girls ends up like Lydia Bennet, running off with any unworthy men who might show up. I would like to go on for much longer, but I'm afraid I can't right now, but the whole of it is that the book has so much additional lovely detail that it is worth a read! Another note... I hadn't realized this, but Elizabeth Gaskell never finished the novel, as her death happened before she could write the final chapter. Thankfully she provided some idea of how it was to end, and history has remembered this for us. Lastly, I want to know what the picture on the audiobook cover (above) is... I really like this painting, but I have no idea who painted it or anything. North and South is also really good. I had a bit of a harder time with the BBC series of this novel , but I can safely say that I like the story even more now that I have read the novel. In the BBC series Margaret is more of an enigma to me, whereas in the book we really get a good peek at her heart and character. I have much more respect for Mr. Hale in his questions about the Church of England in the book than I did in the tv series. I thought the BBC may have taken a few too many liberties regarding religion and I was a bit annoyed. In the book, I still disagree with Mr. Hale, but he doesn't seem to be quite as far off as the BBC seemed to portray him. The church incidentally is well thought of throughout the novel, and Margaret's faith is of importance to the story. A small note: Mr. Hale tells his wife and daughter about his career change in a different scene in the book than in the BBC series, but I discovered in the special features on the DVD that they actually did record the scene as it happened in the book. Unfortunately it isn't as dramatic as the rest because they don't have the soundtrack in the background, but it was interesting to watch. My main question is why Margaret and Mr. Thornton get married. This is an attraction that has puzzled me from the beginning. At least in the book, Mr. Thornton isn't portrayed as nearly violent or unkind as in the BBC series, but clearly there a difference between his matter of fact mechanical view of the world and Margaret's theory of moral goodness and duty. In the book, we get to see more of Margaret Hale's influence on Mr. Thornton's ideas and the practical changes he puts into effect, which I find particularly interesting. I like how Margaret overhears his talk about his projects with the 'hands' at her home in London and how this prompts her to create a proposal for reopening the mills; in fact I like it far better than the way the train trips/railway proposals are portrayed in the film. I particularly disliked the railway proposal, incidentally... I think the way the BBC did it would have been frowned on in the period, and I can only think of Margaret's reputation in society. It was bad enough for her to marry Mr. Thornton, let alone allow herself so much public display of affection and then to go home with him and not yet married! But I still want to understand why two people who disagree so strongly would want to get married. I know people who are like this to me and the thought of them does not make me want to propose, or else I should think myself very foolish. My readers will think me overly simple for not understanding their growing attraction to each other, even if I see their growing understanding of each other and mutual respect/admiration. I can see how they become suited to each other towards the end--yet I have difficulty imagining this in real life, despite I know it happens undoubtably quite frequently. One of the more major changes to the plot has to do with investments. In the book there is no mention of financial schemes and of Mr. Thornton's moral supremacy over those who speculate, or at least I might say it isn't as prominent. In the BBC series, this is a good part of the plot and why Margaret wants to help Mr. Thornton. I wondered where the BBC got this idea (not that I disagree with it in the least) and was able to run with it. The book seems to be more concerned with the particular workings of the lives of the people, whereas the film seems to veer a little more towards being philosophic and perhaps bringing out more of a political agenda. Also the music is amazing in both North and South as well as Wives and Daughters. 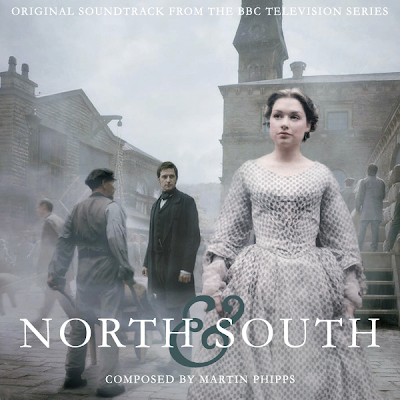 However, the theme for North and South is particularly amazing in my opinion. Listening to it and feeling the emotion is wonderful, it's so dramatic and intense! I found this image of what the soundtrack artwork might look like if the BBC chose to release it like it has done with many other works. Why they won't release Martin Phipps' music is a source of consistent annoyance with me. A female character has to be more feminine in order to be more interesting? Interesting. Personally, I found it easier to identify with Margaret Hale than I did with Molly Gibson. In fact, I found her personality and her romance with John Thornton more interesting and complex. 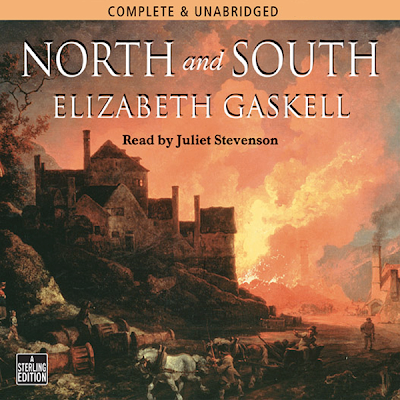 Margaret Hale from North and South by Elizabeth Gaskell is one of the extraordinary heroines of Classic Lit. 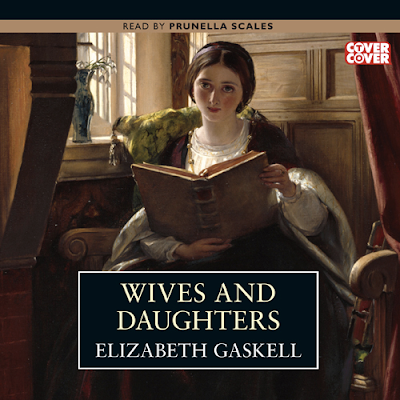 Elizabeth Gaskell isn't quite as known or as celebrated as Dickens or the Brontes, people who had been big friends of hers, according to her biography, but she was a gifted writer in her own right and her talent shows in this wonderful gem which I will reread again in the not-so-distant future. No I'm not completely gone!